Don’t be alarmed by the 17th-century plague mask that makes this guy look like the most unfriendly crow ever. He’s just one of the many wild and fierce spirits that descend upon the desert as though it’s their watering hole. Wasteland Weekend began in 2010, and every year, its number of participants has grown exponentially. Whereas the festival began with just several hundred collaborators, each year it gains more and more traction. 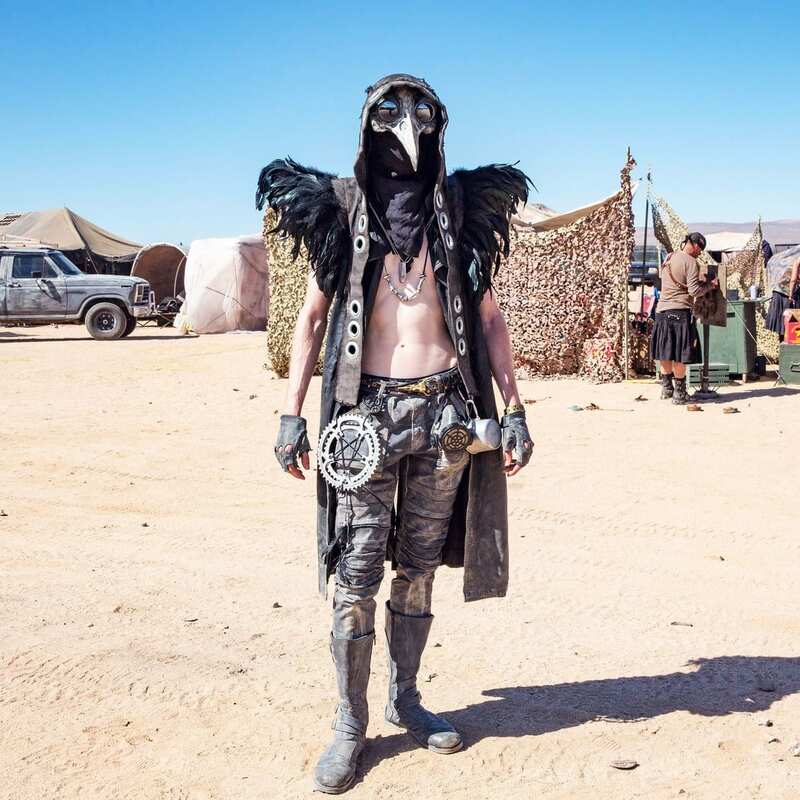 Mad Max enthusiasts, freaks, and free spirits come from all across the world to be themselves. The most recent Wasteland Weekend, in September 2018, was attended by a record number of more than 4,000 participants.